Three days before the Washington-based trial against Paul Manafort was set to begin, special counsel Robert Mueller raised eyebrows in the legal community when his office filed a new charging document. 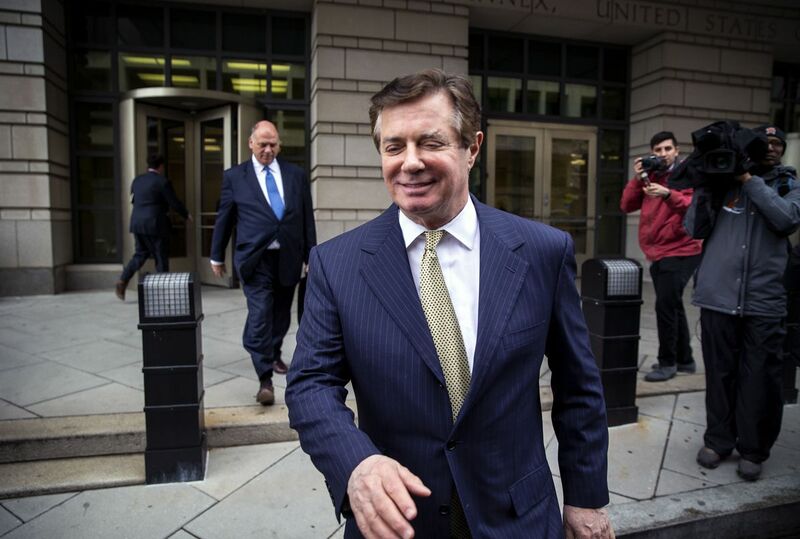 Many began to wonder whether an announcement about a plea agreement with Manafort, President Donald Trump’s former campaign chairman, was coming down the pipeline. I'm a former assistant district attorney, and even after news of the plea broke on Friday, I didn't think Manafort stood to gain much from a cooperation deal. I still don't. What's clear, though, is that Manafort was out of cards to play. Unlike the other criminally charged former Trump aides, Manafort's problem was that he was facing a functional life sentence, even before the trial in Washington. After battling the federal government for a year, Manafort was convicted in the Eastern District of Virginia last month on eight of 18 federal crimes, including filing false tax returns, bank fraud and failing to disclose an interest in a foreign bank account. The jurors hung on the other 10 counts, though the government still had the option to retry them. Under federal sentencing guidelines, a prison term is determined by a defendant's criminal history and his conduct during the charged crime. That calculation did not work out well for Manafort, handing him a particularly onerous sentence. In addition to a court-imposed fine, according to court documents, the range for Manafort was 210 to 262 months imprisonment, or 17 to 20 years. That was just for the Virginia conviction. For the 69-year-old Manafort, a prison sentence of 10 years or more could very well mean spending the rest of his life in prison. What he wanted was some relief from his sentence. With few options, cutting a deal with Mueller was the best guarantee to limit the prison term. On Friday, he pleaded guilty to two federal charges - conspiracy to defraud the United States and conspiracy to obstruct justice, encompassing a range of crimes from money laundering and tax fraud to lying to the Justice Department. One conspiracy count covered the time he worked for the Trump campaign. With the plea, he avoided the D.C.-based trial, which would have dealt with seven federal crimes, including an obstruction of justice charge added to a new indictment in June, after he allegedly contacted two potential witnesses. It also included admissions to charges that the Virginia jury hung on, though Friday's cooperation deal agreed to dismiss them after Manafort is sentenced. Although I worked at the state level, there are some universal principles at work when signing up cooperators and several familiar factors. The plea agreement, which laid his crimes out for the public in excruciating detail, was fairly standard; cooperation is usually all or nothing, and it's typical to say a cooperator will be "fully cooperating." Manafort's hope for leniency at sentencing is two-prong - aimed both at Mueller and the sentencing judge. There are times where it makes sense for a prosecutor to cooperate with a plea-reluctant defendant after a trial conviction. The offices that I worked at occasionally took the same view, too. Mueller holds the keys. Manafort will almost certainly go to prison, notwithstanding the agreement, and only Mueller can bring the sentencing judge's attention to Manafort's efficacy or value. If Mueller doesn't make the motion, the judge cannot consider it. The caveat, though, is that a federal judge is never locked in. He merely takes Mueller's recommendations under advisement. The best cooperation happens early on, even on day one - a la Michael Flynn or Michael Cohen. Manafort’s post-conviction cooperation may not be as effective. Even if he is truly extraordinary, he may still have a good bit of time to serve.